WELCOME to all of you to the new Semester of Allama Iqbal Open University,Islamabad.We all know that how much it is difficult to solve the whole assignment for each and every student who are in AIOU even they are in Metric level or Ph.D. As in past semester we provided you quality assignment which was in very easy wording. you can Contact me without any Hesitate. required assignment is still missing in our Site, Then you have to contact us, we will be be to Help any of our reader. reader who outcome their that please send us the assignment's that you solved.We will be happy if you done this type of beauty job. What i meant By This Post? 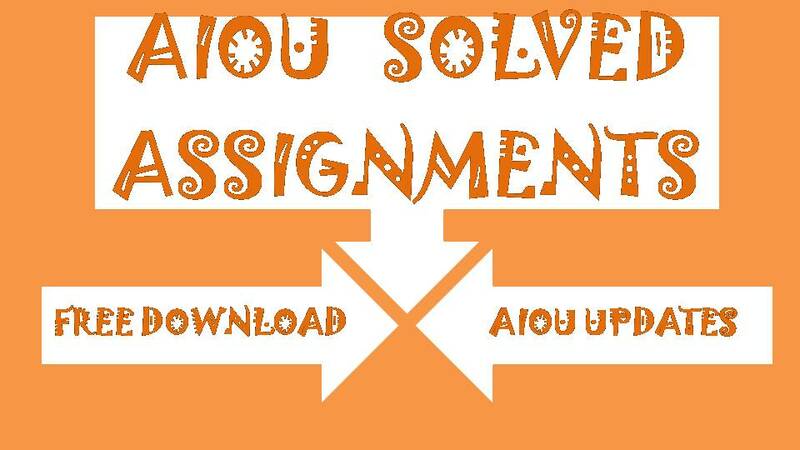 Aiou Updates Is Going to start Upload Aiou Solved Assignments.